Welcome to TaDa! Interior Design, Inc.
Ta Da! 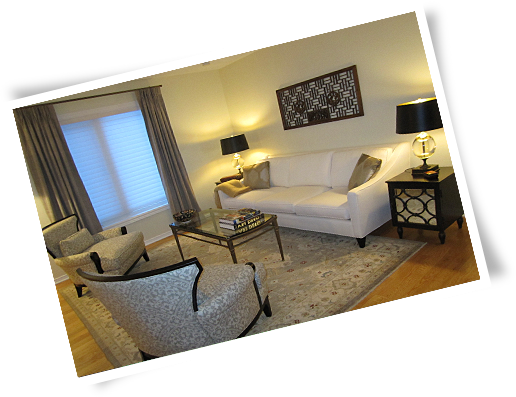 Interiors has been serving up inspiration to the greater Ottawa area for over 8 years. Specializing in both commercial and residential interior decorating. Ta Da! is celebrated for its unique ability to create and redefine spaces that are an extension of the client’s personality and style. Whether your home or office needs an update or a total overhaul, no job is too big or too small for this dynamic decorating duo. Marrying together versatile style, an extensive network of industry professionals and a wide variety of services, Ta Da! will make your design dreams a reality. The end results speak for themselves. To schedule a consultation or for general inquiries, please feel free to contact us directly.